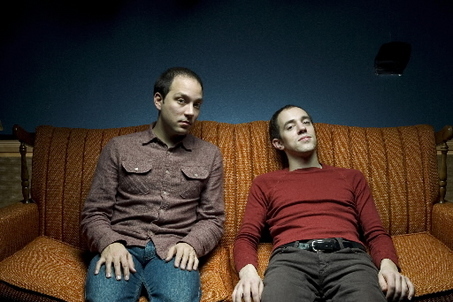 There are mountains upon mountains of Indie rock reviews that could be summed up with the words “music’s great, singer’s bad.” The Helio Sequence— up until now considered a good-not-great duo on Sub Pop and Cavity Search— buck this trend like a colt with a elastic strap snuggly pulled around his abdomen. They serve as Impossible city’s pick as the Band of Horses of this extremely cold Southwestern Winter of 2009. Brandon Summers, the band’s frontman, is a compelling, economical, and technically sound vocalist who can, and does, carry the band’s fourth album, Keep Your Eyes Ahead, to an almost repetitive play must on most audiophiles players of choice.